The tenor of the presidential campaign has taken a sharp turn for the truculent in the last week or so, with unsubstantiated allegations and unflattering epithets flying across the camps. David Rothkopf, CEO and editor-at-large of the FP Group, publishers of Foreign Policy Magazine, and a visiting scholar at the Carnegie Endowment for International Peace, would like to see the candidates address things like the economy, Syria and gun control. These are great issues calling for serious debate. And we actually have two candidates for president who are credible, serious men. But they are running a campaign that has the sensibilities and IQ of a typical middle school student council election. With the values of an episode of "Real Housewives" or "Big Brother." 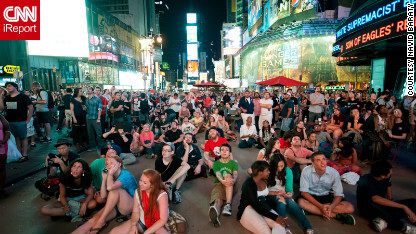 People gather in New York's Times Square early Monday to watch a giant TV screen showing the Mars Curiosity rover landing. Click on the image for iReporter Navid Baraty's full gallery. CNN iReporter Navid Baraty, a huge fan of astrophysics, says he wanted to be around others who were as excited as he was about watching the Mars Curiosity rover landing. As hundreds of onlookers flocked to New York's Times Square to see the historic landing unfold from a gigantic video screen, the whole experience took his breath away, he says. He says he had goosebumps when the rover finally touched down at 1:31 a.m. and people started chanting, "Science! Science! Science!" and "NASA! NASA! NASA!" During the nail-biting "Seven Minutes of Terror," which NASA dubbed the landing sequence, cheers erupted with each successful transition the Mars rover made. "Just seeing everyone collectively captivated by the live stream and huddled close together to hear the audio broadcast over their phones was so incredible," Baraty says. "Everyone was filled with excitement and wonder. The mood was intense. There really was a buzz of energy and excitement in the air. 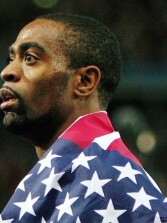 I think everyone was so proud to be taking part in such an incredible moment." A woman in Brevard County, Florida, called 911 because she thought she saw a man drowning in the Indian River, CNN affiliate WKMG reports. When rescuers got there, they discovered it was something else entirely thrashing around in the water. They went ahead with a rescue operation anyway. Who are these shooters and what are they thinking? An official determination that it was a great white shark that attacked a swimmer off Cape Cod, Massachusetts, last week brought out comments - and primal fears - from CNN readers. That'd be a very exclusive club of which to be a member – the "I survived a Great White shark attack" club. What a story to be able to tell! Geez, ever since I was 12 and saw "Jaws" when it came out, I have been terrorized at the thought of being eaten by a shark. When I was in basic training in the Navy, we went through "sea survival" training. We all kept trying to ask about sharks, and the instructor kept telling us that he would conclude with that topic. Well, when he addressed it, I will never forget what he said: "Take your dog tags off and throw them as far away from you as possible, because they might attract predators. Don't worry about sharks, as they tend to kill you quick. It's barracudas you should worry about, because they take you one little bite at a time." That was all they had to say about that. James Holmes is due for a court hearing related to the deadly shooting spree that took place early July 20 in an Aurora, Colorado, movie theater. The U.S. Department of Transportation will release its report on June flight delays, tarmac times, mishandled baggage reports, passengers denied boarding, and consumer complaints. 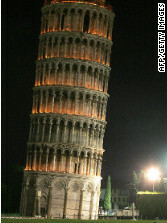 1173 – Construction of the Tower of Pisa begins; it starts leaning during construction, which takes 200 years to complete. 1936 – Black American Jesse Owens wins his fourth gold medal at the Berlin Olympics. 1945 – A U.S. atomic bomb destroys much of Nagasaki, Japan, during World War II. 1969 – Members of Charles Manson's cult "family" murder pregnant actress Sharon Tate and four other people at Tate's home in Los Angeles. 1989 – The federal government bails out the savings and loan industry. 2000 – Bridgestone/Firestone announces a recall of 6.5 million tires. 2001 – President George W. Bush announces he will allow limited federal funding for stem-cell research. If this economy tanks as some say, we'll really know what terror looks like. Don't just sit around complaining about the economy. You people and your "the sky is falling" approach. What are YOU doing to solve the problem. See how ignorant she is yet? Who are you talking abot, Harg Lardy? The only ignorant one I see is you. Was it a sin to drop bombs on civilian centers Horoshima and Nagasaki? A Catholic convent was near ground zero ya know. Of course is sin yew siwwy Amewican. 50 hail Mary wight now! Why, no it wasn't a sin my child. God works in mysterious ways to end wars. It says so right here...somewhere. @ philip, WHAT should someone do? You say dont sit around and wait for it to happen, do something! What would that something be...vote? Oh wait, that cant be what you meant because you never vote! So enlighten us please, brainiac!